This style guide defines the standard against which we determine a translation&apos;s quality. It contains rules that are both defined by Mozilla and by Mozilla&apos;s localization communities on how to best translate text in Mozilla products, websites, and other projects. The style guide is applicable to both translation and evaluation of the translation quality. By following these rules, a translator has a better chance of producing a high-quality translation that represents Mozilla values and culture. The localized text should be as if it were originally written in Ukrainian. It has to be accurate, correct, and clear. To achieve that, try to avoid wordiness and word-by-word translation. Use correct and consistent grammar in all texts. Accuracy: As a rule, all English text needs to be translated. In some cases though, text can be omitted or added; there should be a specific reason for that, and you might need to check it with a project team. The translated text will correctly reflect product functionality. Localization: Localization means that the translated text needs to be adapted to the local language, customs, and localization standards. For example, in many cases, you would need to use Ukrainian names rather than English, e.g. Edward — Володимир, New York — Харків. Do not translate every word, but use the style that is natural for Ukrainian. Consistency: Please ensure that all terminology is used consistently both within one component and across different components (software, help, and documentation). In most cases, the terminology also needs to be consistent across different products. Moreover, please use a consistent style and register, and translate similar phrases consistently. Is formal language appropriate for all of Ukrainian language&apos;s Mozilla l10n projects or only some of them? Which ones? Is informal language appropriate for all of Ukrainian language&apos;s Mozilla l10n projects or only some of them? Which ones? In fact, localization should not use a level of formality higher or lower than the one required by this community-defined style guideline. An example of this would be using "click here" (not formal) vs. "please click here" (more formal). Also, the tone employed throughout the l10n project(s) should stay consistent within itself. Using natural expressions make your localization sound natural to a native speaker. If your translation does not follow the community defined language guidelines for translating content that contains local or natural expressions, this results in a mediocre and/or awkward translation. Teams should be careful to address those and keep them in mind while translating, which is why it is an important section to address in a Style Guide. An example of a natural expression in a translation would be translating the Spanish phrase "En ocho días." In English, one might translate this as "in eight days" or "in a week." The latter is a more natural translation, although both could be considered correct. Find an equivalent reference phrase in the Ukrainian language. Remove the cultural reference and translate the core meaning (e.g., "a commencement meeting"). Finally, adherence to Mozilla and third-party branding and style guides should be respected throughout a localization project. More information on Mozilla-specific branding rules can be found on Mozilla branding and Firefox branding pages. For example, some brand names should never be translated, such as "Firefox." Translations of brands and product names for Ukrainian locale are included in the Terminology List. Inconsistent use of terminology within the project. Inconsistent use of terminology with term base. Inconsistent use of terminology across all of the projects. Understand the meaning of the term in English. Here are the Definitions of some key terms that can be helpful. The translation should strive to achieve proper unit conversions for currency, measurements, etc. To get an extended information about standard units, measurements, time and date for Ukraine, you can refer to the Microsoft Style Guide. In English, it is a general practice to capitalize all the first characters of the words in titles, names, etc., and sometimes middle characters in words too. Bear in mind that this may be an error for Ukrainian texts. Localized names of protocols, services, packages, technologies, etc., are not capitalized. Not localized names have the same capitalization as in English. Genitive Case for nouns of the II declension can be very treacherous. On one hand, the rule itself is very long and has a lot of exceptions, on the other – dictionaries represent contradicting forms of Genitive case. You can refer to this Online Dictionary. But you should keep in mind that there can be exceptions to the rules. There are three plural forms in the Ukrainian language. You should evaluate and translate each sentence separately. Some locales start the second sentence lowercase because of the semicolon, or with a leading space. Both are errors. You shouldn’t replace the semicolon with a character from your script or another punctuation sign (commas, periods). The strings using the wrong number of plural forms are now reported on the l10n dashboard (example). Limit to one or two words. Use verbs that precisely describe the button&apos;s action. For example, "Cancel", "Clear History", "Add Email", "Select All", etc. Ellipsis is often inserted automatically in the UI where strings are truncated. The ellipsis should only be used at the high level of UI pages, but not be on the final page (after a series of click-through) where detailed instruction is given. The ellipsis should not be used as a way to solve truncation issue. Focus on making the UI short and precise. The sequence of the sentence structure in another language may not translate well when a sentence is half finished as such. Access keys allow a computer to immediately jump to a particular part of a web page by combining keystrokes. They can be adapted to suit the Ukrainian language by selecting a single character to be used in the combined keystroke. Access keys have their own lines within .dtd and .properties files and are identified by being named ".accesskey" in the line. Access key strings identified as “.accesskey” are always related to the strings identified as “.label”. When you translate the “.label” string, it is very important not to forget to find the related “.accesskey” string and adapt it; otherwise, you will get untranslated access key included into the round brackets next to the translated string for UI element. If “.label” string is not translated and just copied from English, then “.accesskey” string must be kept in English as well. reloadTab.label "Reload Tab" reloadTab.label "Оновити вкладку"
When it comes to translation, the meaning is everything. A translator needs to understand the source text&apos;s meaning exactly. You then find its most closely linked equivalent in your own language, without adding or subtracting meaning in your translation. Finding meaning-based equivalents between languages can be difficult. Sometimes translation memory and machine translation tools can offer bad suggestions for a translation. If you use either as part of your translation workflow, make sure to correct the suggestions before submitting them. Avoid literal translation at all costs. Watch out for words that might sound or look the same between the English and Ukrainian languages, but have a different meaning. Variables should never be translated. You can recognize a variable within a string by its beginning with a specific character (e.g., $, #, %, etc.) followed by a combination of words without spacing. For example, $BrandShortName and %S are variables. You can move a variable around within a string if the translation of the string requires it. However, there are some exceptions when variables should be replaced with related words in order to display the whole string in the right case. 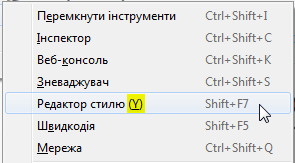 In this case the variable &syncBrand.shortName.label; is translated by default as Синхронізація. 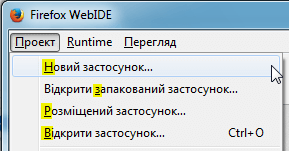 Translation Вітаємо в &syncBrand.shortName.label; is not correct, because in the user interface it appears in the nominative case as Вітаємо в Синхронізація instead of the genitive case. This rule does not apply to untranslated variables like Firefox or Mozilla. Brand names, as well as copyright and trademarks, should never be translated, nor transliterated into a non-Latin based script. The List of Mozilla Trademarks can be helpful. See the Mozilla branding guide for more details. At times there will be English content included in Mozilla products or web projects (e.g., marketing campaigns) that makes references to American culture and concepts. When translating these, it is best to find an equivalent cultural reference within your own culture that accurately conveys the meaning of the English reference. For example, an American might say, "Good job, home run!" A home run is a baseball reference for a successful outcome. An appropriate translation would be an equivalent metaphor within your culture. Using soccer as an example, you might transform "Good job, home run!" into "Good job, nice goal!" in the Ukrainian language.